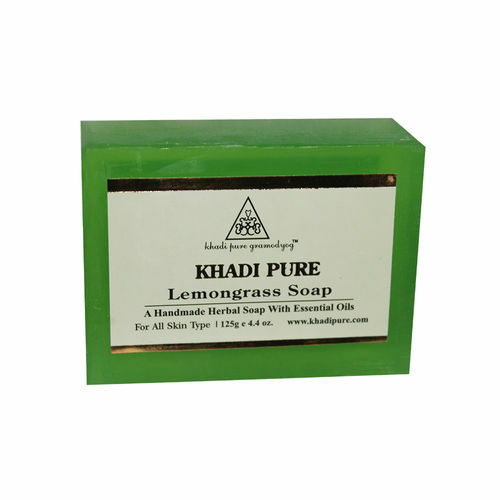 Khadi Pure Gramodyog Herbal Lemongrass Soap is an anti-microbial and anti-bacterial herb. It helps to limit bacterial or microbial growth on the skin. It also helps to minimize pores, limit the secretions of oil and provide a temporary skin-firming treatment.